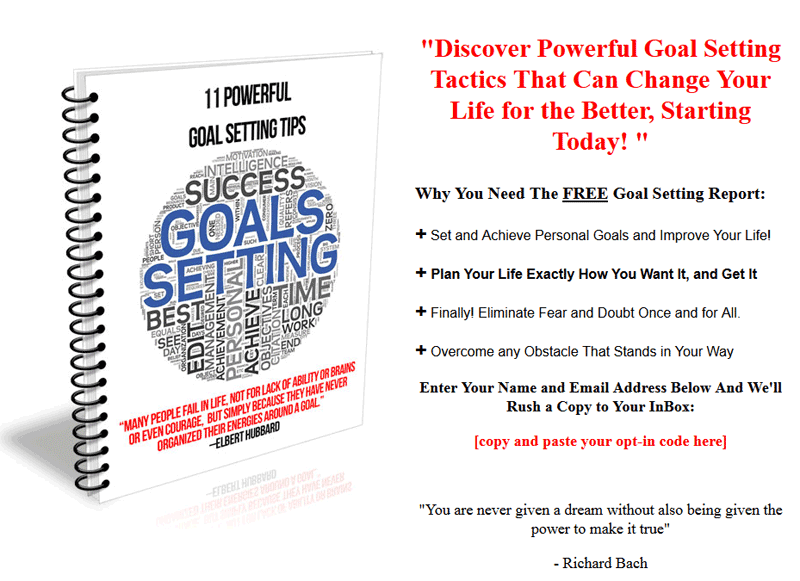 Goal Setting PLR List Building Package comes with everything you need for email marketing in the self improvement niche. Private Label Rights, call it your own. 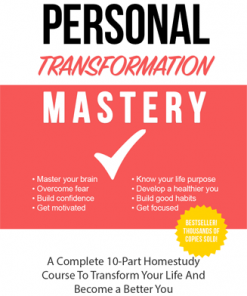 As you know, the Self help and self improvement niche is huge and it’s highly profitable. 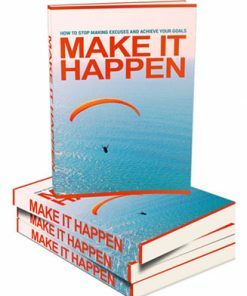 There is and there will always be people who want to improve themselves. Some need to make changes. 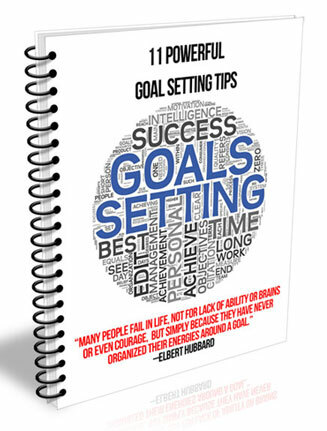 A big part of the market is the goal setting sub-niche. It is also something many people have trouble with. 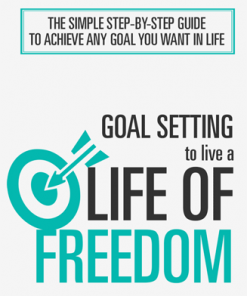 From how to set goals, to achieving those goals that could change their lives. They need this information and they could be looking to you for that information. Here is your opportunity to get your own slice of this enormous market full of people who are more than willing to spend money if it might make their lives better. 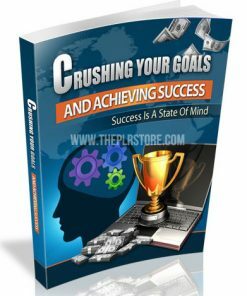 Goal Setting PLR List Building Give-away report is a high quality 8 page document that spells out the important 11 steps to creating and achieving goals, that any one can follow with success. It has a professional layout with correct page numbering to making you look like the expert and authority, which can help build trust. And I am sure you know, when you have trust, you often have a much better chance of making more sales. 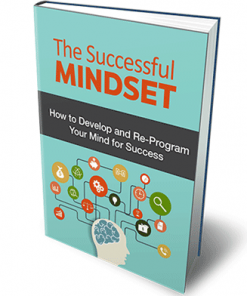 We created a brand new squeeze page that only needs your opt-in code and it’s ready to help you build a large and profitable list in the self-help goal setting niche. 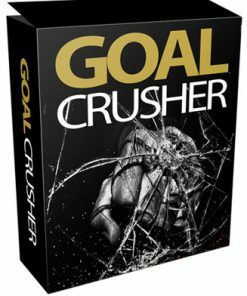 It’s a complete Goal Setting PLR List Building system with matching confirm and download pages. Add your download link, upload the pages and it’s ready to roll. 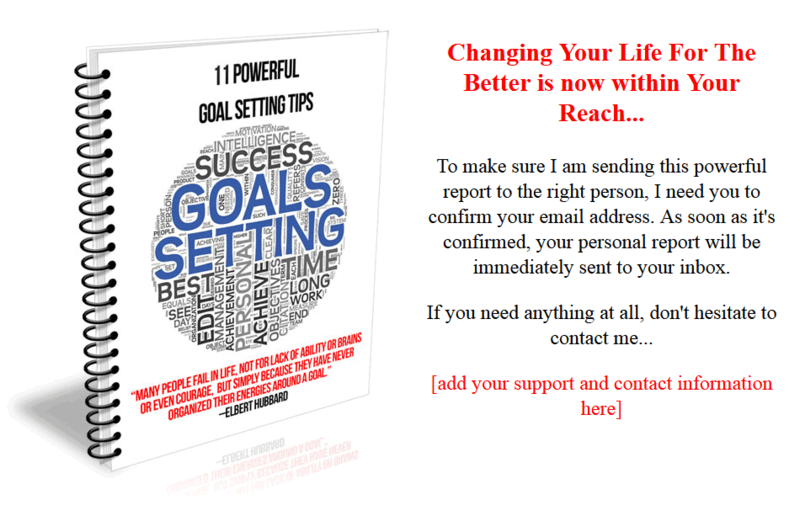 You’ll also be getting a ready-to-go 6 message goal setting autoresponder messages. These are affiliate promotional messages geared to make you sales, to make you money. 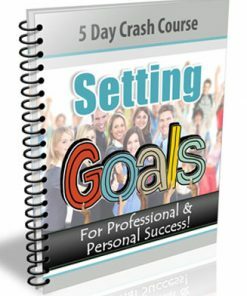 Goal Setting PLR List Building Messages are pre-formatted to 65 characters or less, so they are already made to fit most autoresponder service recommended width, the work has been done for you. Saves you time editing. Autoresponder messages promote two converting clickbank programs, with affiliate links already built in to the email messages. It only takes a couple minutes to add your affiliate ID and you get credit for every sale. These messages are also very easy to customize with your own name or brand, it’s very simple and easy. 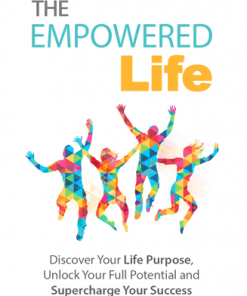 We also created a brand new eCover for this very product. It’s fresh and something you won’t find anywhere else but here. The PSD for the cover is included as well so you can edit or brand the cover any way you’d like. Rendered 3D eCover version come sin 5 different sizes to fit just about anywhere you need it. Add one to a sales page, another for your blog sidebar, they are ready to go. 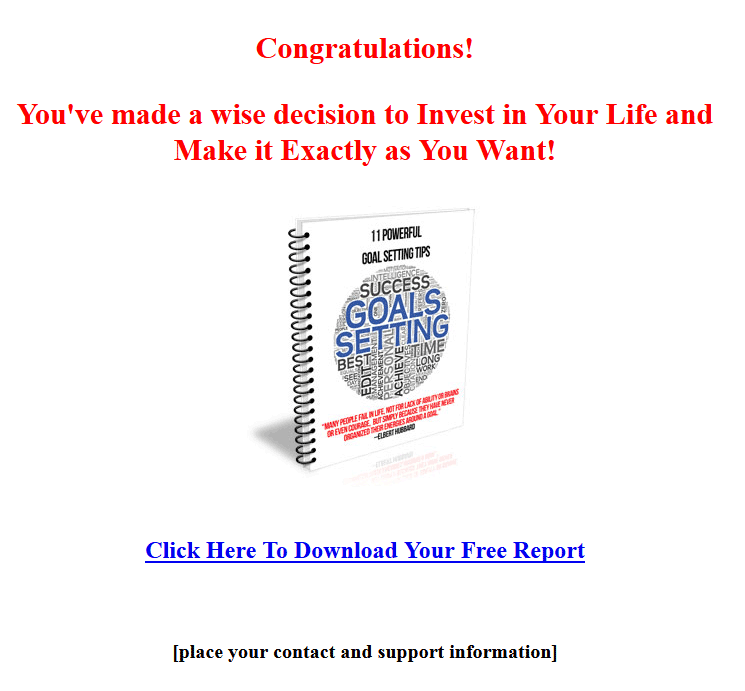 To re-cap, you’ll be getting everything you need to build a list in the goal setting market from the free give-away report to the web pages, and even 6 messages to get you started.